We’ve been hiding in plain sight this whole time. 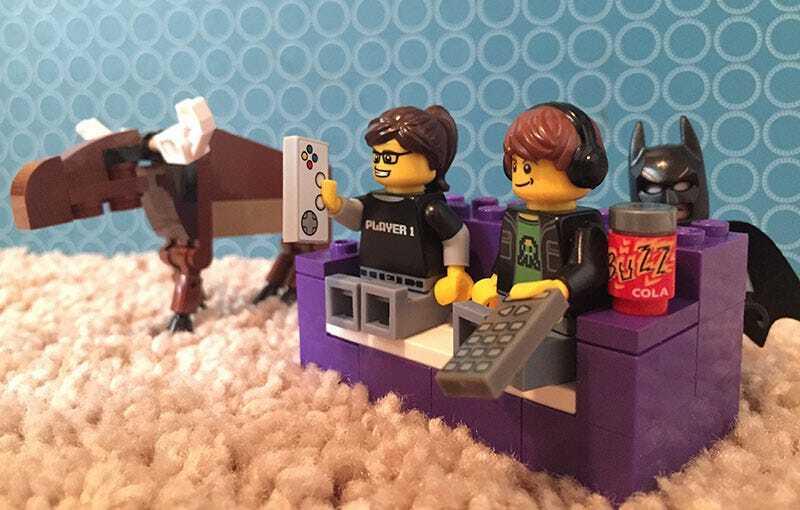 You may have seen us around on Kotaku’s Reader-Run TAY Blog as GiantBoyDetective and Zarnyx. But for the next three days, we’ll be your guest editors here on Kotaku. Come have some fun with us! We’ve got your long Memorial Day weekend covered with articles on everything* from anime to cartoons to music to food… and… maybe video games. No promises. Chances are we’ll throw a few in the lineup for good measure. This is a website about snacks, right? We’ll do our best to respond to folks who pop up in the comments. If anyone brings us hamburgers (or GIFs of hamburgers), we’ll get to you first. So kick back, relax and enjoy our steady stream of nerd culture. And go easy on us, we’re new to this. *Despite our misleading header image, there will be no articles about moose or Batman. Unless they announce a movie where Batman is played by a moose. In which case it’s likely the only thing you’ll see us post about.